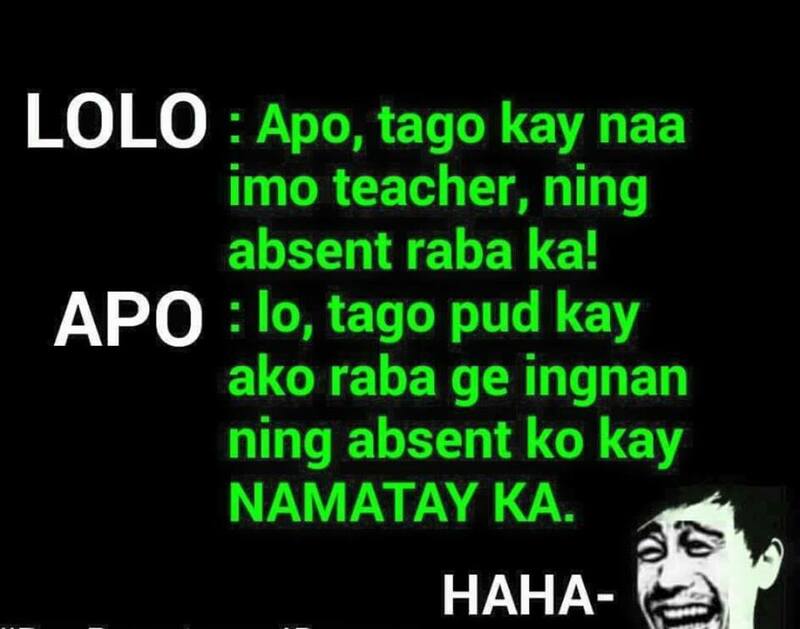 One of the tests that I do to see if the learner has enough knowledge and understanding of Cebuano is to give a simple joke in Visayan. If he can appreciate the joke and find it funny, then I am confident that he can survive living in a Cebuano-speaking place. Grandfather: Grandchild, go hide because your teacher is here. You were absent from school. Grandchild: Grandpa, go hide too because I told her I was absent because you died. 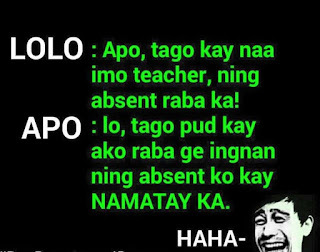 In Bisaya, many grandparent-grandchild jokes have been created. This shows a cultural side of Filipinos. Filipinos generally have close family ties. And grandparents generally watch over kids especially when parents are in absentia.